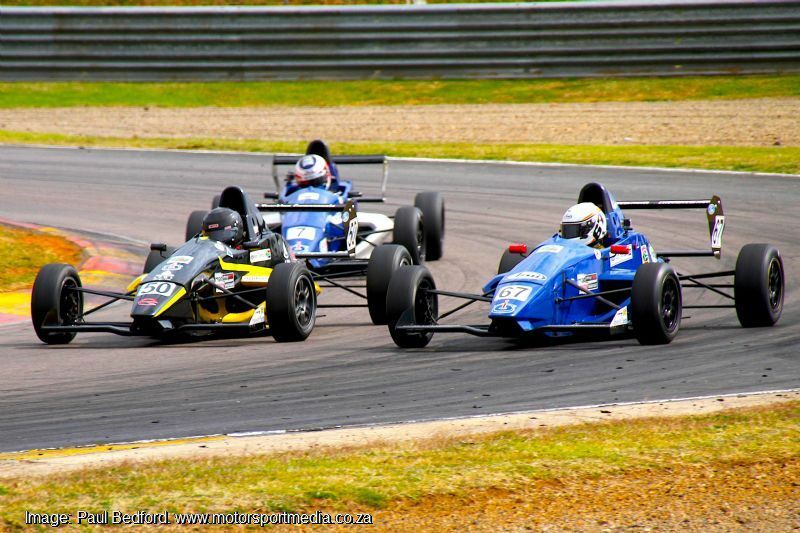 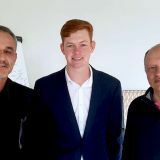 The Investchem South African Formula 1600 Championship heads to Port Elizabeth balanced on a knife’s edge as it takes its fifth step on the Road to Indy at the newly resurfaced Aldo Scribante raceway in Port Elizabeth Saturday 14 July. 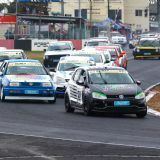 Johannesburg racer Nicholas van Weely and Bloemfontein lad Stuart White sit a point apart in a championship chase that will not only see the winner taking home a cool R200K championship prize home, but he will also claim a ticket to earn the chance of a United States race career through the Mazda Road to Indy shootout in December. 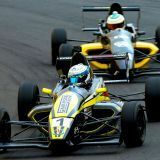 So the gloves will no doubt be off as van Weely prepares to continue his recent four-race winning streak aboard his Magnificent Paints van Diemen, while White, who won the first four races of the season, will be out for revenge following an unusually tardy run to third in his Fantastic Racing Mygale at East London last time out — that after missing the previous round due to overseas race commitments. 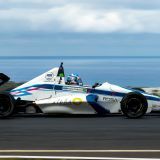 Alex Gillespie (ERP Trucking Components Mygale) sits in a lonely championship third, not too far adrift of, but also not comfortably clear of Scott Temple (Mygale) and Andrew Schofield (Investchem Mygale). 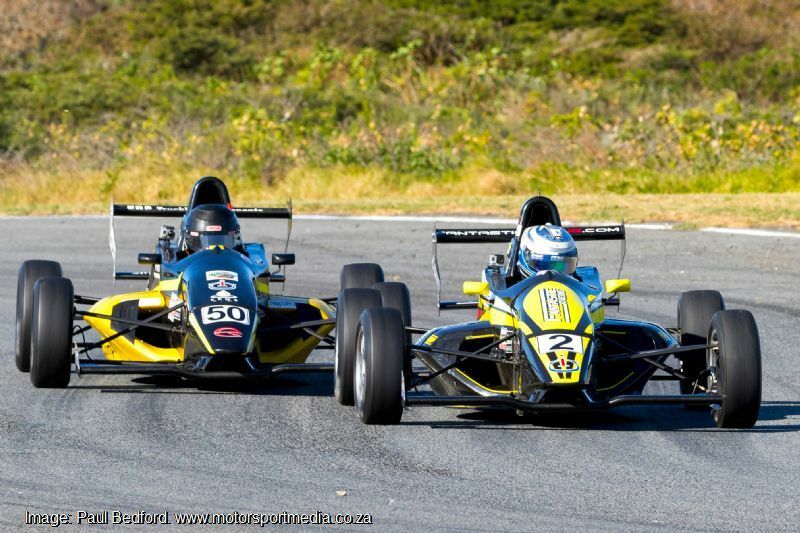 All of them will however have to keep an eye out for Port Elizabeth home town wildcard, karting exponent Chassen Bright (Fuchs Fantastic Racing Mygale), who has shown great pace in his Lotus in recent local endurance races. 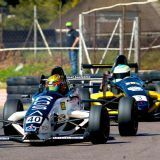 There’s a tight championship spat just behind them, with just two points separating youngsters Siyabonga Mankonkwana (Cervinia Investments/Max Q Matt Nash Racing Mygale) and Tiago Rebelo (TRMS Mygale). 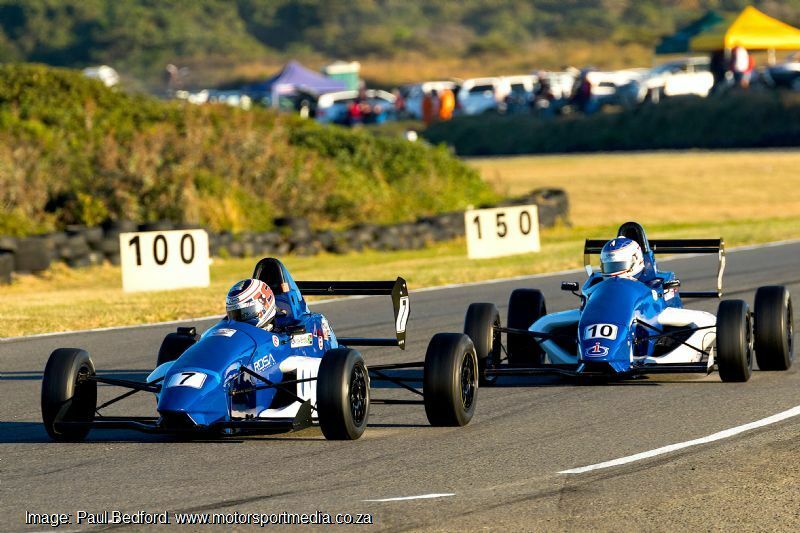 Class B leader Ian Schofield (Investchem Mygale) is next up ahead of class rival David Jermy (Beauty Factory Fantastic Racing Mygale) and Cape youngsters Joshua Dolinschek (Makita Power Tools Racing Factors Mygale) and Andrew Rackstraw (Investchem RDSA Mygale), both of whom will be hoping for better luck in the Bay. 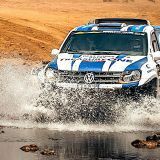 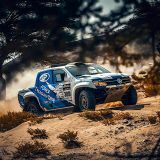 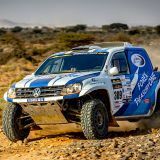 Local PE Class B runner Garth de Villiers (Durrant Motorsport Mygale) will be one of the drivers looking to get his overall championship chase on course with a first points finish at home, while Brendan Tracey (Investchem Mygale), Gerard Geldenhuys (Abacus Divisions Mygale) and Allen Meyer (Class B van Diemen) are also after their first points finishes in the Eastern Cape. 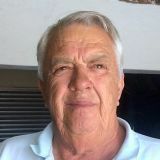 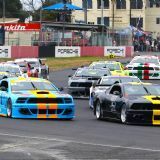 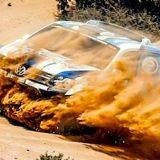 There is however a curve ball awaiting the entire field, with the Aldo Scribante Racetrack recently benefiting a complete resurface to eliminate its old tyre wear bugbear, but it appears that the circuit now requires a totally different race set-up. 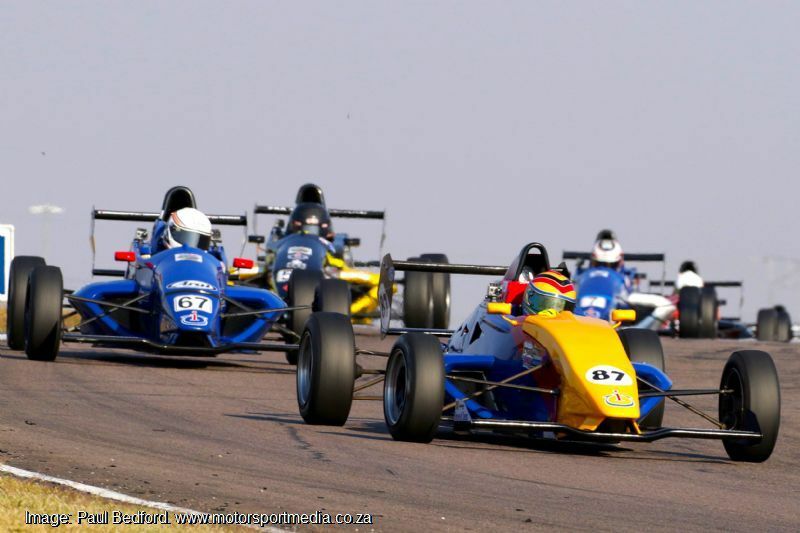 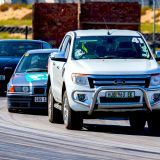 Several teams planned some extensive pre-race testing, so the Investchem Formula 1600 Championship should be ready to deliver two more great races on the Road to Indy in Port Elizabeth come Saturday 14 July.